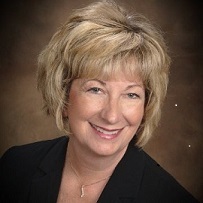 Lisa Thomson is the Chief Marketing and Strategy Officer at Pathway Health Services. She has over 25 years’ experience in the post-acute and long-term care setting as well as other healthcare settings. Lisa has had extensive experience in leadership and oversight of daily operations of numerous health care organizations in the Post-Acute Care Continuum. 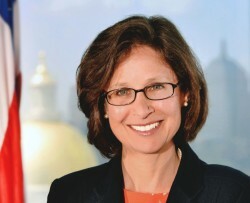 As a Chief Executive Officer, Vice President, Executive Director, Administrator, Marketing, Director, and Director of various IDT departments, she has been instrumental in supporting leadership teams (from all levels) through a number of organizational changes to establish regulatory compliance, standards of practice, operational strategies as well as Joint Commission Accreditation. Ms. Thomson is skilled in the coordination and leadership of compliance teams that aide facilities in achieving regulatory, clinical and financial turnaround. She has the ability to interpret regulations, national initiatives and operationalize the process. She performs operational assessments of health care organizations and systems as well as the development and implementation of strategic plans, preferred provider networks and inclusion of PAC in the new alternative payment models. Her hands on style, leadership abilities and regulatory expertise are unparalleled in the industry. Lisa has written numerous articles and has been published in national communications across the health care provider continuum. She has been voted as a “Top Female Healthcare Executive” and serves as a mentor for health care leaders across the nation. The Long Term Care community lost a true innovator, patient champion and dear friend this past week. Harlan Martin. Harlan Martin of Manalapan, N.J., a pharmacist and long-term healthcare pioneer in New Jersey, New York, and Pennsylvania, passed away on Oct. 25, 2016,after valiantly fighting cancer. He was 72. Mr. Martin was the founder and CEO of Pharma-Care, Inc., a consulting practice serving over 45,000 patients a year and nearly 500 facilities. He graduated from the Rutgers School of Pharmacy. Mr. Martin was a founder of the N.J. Long-Term Care Leaders Coalition; the Joint Board For Certification of Consultant Pharmacists; and the N.J. Academy of Consultant Pharmacists, where he also served as president. 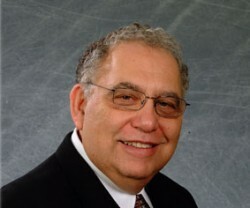 He was chairman of the N.J.Nursing Home Administrators Licensing Board; a regional director, fellow, and two-time board member of the American Society of Consultant Pharmacists; and a board member and former vice president of Healthcare Quality Strategies, Inc. for eight years. He is survived by his wife of nearly 50 years, Susan Kessler Martin, with whom he lived in Westfield for 34 years before moving to Manalapan. He was the loving father of Ross (and Jordana) Martin of Prospect Heights, Brooklyn, N.Y., and Rachel (and Scott) Blumberg of Manalapan; the devoted “Poppy” of Dashiell and Theodore Martin, Jacob and Dara Blumberg; and the brother of Marlene Tuch of North Caldwell, N.J.
His counsel, advice and a calming and addictive smile will be greatly missed. The launch of Paradigm LTC offers innovative solutions for the appropriate use of pharmaceutical products, medical devices, and diagnostic services by drawing upon the expertise of all professionals engaged in providing healthcare solutions for the elderly. They have synergized an outstanding resource by assembling a strong and very experienced true multi-disciplinary team that understands this segment. Paradigm LTC will have the credibility and the vision to anticipate changes and help clients to be better prepared for the potential challenges and ultimately achieve better utilization of their products or services leading to better care of patients in the long term care setting. Paradigm LTC has been created to provide a dramatic shift from traditional approaches of engaging with the healthcare professionals. It is designed to offer interested organizations the opportunity to separate themselves from competitors and help nurses, physicians, pharmacists, and caregivers realize the true potential of their products or services. We invite you to give us an opportunity to evaluate your product or service and present you with a robust plan to grow, sustain or expand your presence in the LTC space. Franklin Park, New Jersey, August 18, 2015—Paradigm LTC LLC founders Mr. Anwar Feroz and Mr. Jeff Naqvi have launched Paradigm LTC as a game changer for pharmaceutical companies to effectively promote their therapies in the long term care (LTC) channel. The approach of establishing a leading expert, interdisciplinary advisory team—with highly successful experience and a strong blend of creativity—finally offers solutions for health care companies to make a huge difference in the lives of LTC residents, while effectively growing their brands and presence in one of the fastest-growing segments of health care. These opportunities can only be realized by pharmaceutical companies that are successful in overcoming several challenges, including reaching key stakeholders effectively. With its unique approach, Paradigm LTC effectively utilizes its expertise to leverage and optimize resources, exceeding customer expectations and driving growth. A cornerstone of this unique approach centers on an alliance between Paradigm LTC and the Access Group. 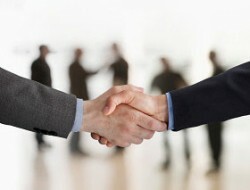 This partnership leverages combined expertise and resources to bring greater value to our clients. The Access Group, based in Berkeley Heights, NJ, is a preeminent professional services firm focused on the biopharmaceutical industry. Please visit us on to learn more about our services and our esteemed team of advisers, or simply call us at 1-888-244-2920. Earlier this month, the Centers for Medicare & Medicaid Services (CMS) announced significant rule changes to the long-term care (LTC) market, but it’s not hard to imagine these same rules being applied to other markets in the near future. Richard G. Stefanacci and Anwar Feroz of Paradigm LTC provide an overview of what these changes mean for pharma in four key areas: hospitalizations, psychotropics, pain management medications and antibiotics, as well as what to expect as a result of these changes overall. Even if you are not focused on the significant long-term care (LTC) market, the new rules that Medicare is applying to the LTC channel are a potential forewarning to all Medicare channels. There is tremendous long-term utilization for pharma products due to the demand from more than three million patients with medical needs, high provider involvement for treatment and nurse-monitored adherence. There is zero out-of-pocket reimbursement for patients, which means no patient savings for generics or no treatment versus use of branded products for the majority of LTC patients (dual eligible). There are no current pharma rebates—the Medicare 50% donut hole and the Medicaid 23.1%, do not apply to dual eligible patients. Again, even beyond the direct significances of LTC, these Medicare rules will impact pharma in all markets. If you have the opportunity to read the more than 400 pages of proposed regulations, change the word “facility” to “ACO (affordable care organization),” “IDN (integrated delivery network),” or “provider” and you will see how easily these regulations can go well beyond LTC and fit into most markets. These rules illustrate Medicare’s focus and thinking. While the major focus areas may not be surprising, how Medicare is approaching them is much more aggressive and intrusive than many had expected. These areas involve the use of hospitalizations, psychotropics, pain management medications and antibiotics. Medicare continues its focus on reducing hospitalizations. Research conducted by the Centers for Medicare & Medicaid Services (CMS) found that approximately 45% of hospitalizations among Medicare/Medicaid enrollees receiving either Medicare skilled nursing facility (SNF) services or Medicaid nursing facility (NF) services could have been avoided. CMS believes that increased provider involvement can reduce these inappropriate hospitalizations. In order to address this observation, CMS is requesting an in-person evaluation of an LTC patient by a physician, physician assistant, nurse practitioner or clinical nurse specialist before an unscheduled transfer to a hospital. Preventing potentially avoidable hospitalizations of nursing home LTC patients is important to LTC patients and their families and may also yield cost reductions. The transfer to an acute care hospital is a stressful event for an LTC patient of an SNF or NF. In its June 2011 report on Hospitalizations of Nursing Home Residents, the Office of the Assistant Secretary for Planning and Evaluation (ASPE) documented that such hospitalizations impose a high personal cost on nursing home LTC patients, resulting in disruption, risk of complications and infections, and the potential for reduced functioning on return to the nursing home. LTC patients are especially vulnerable to the risks that accompany hospitalizations and transitions of care, including medication errors and hospital-acquired infections. Hospital episodes are even more difficult for LTC patients with dementia, as these individuals become disoriented in new, unfamiliar settings. Requiring that a facility notify the LTC patient’s physician when there is a change in the patient’s status, including any related, pertinent information. Addressing communication through a robust interdisciplinary team; a comprehensive, person-centered care planning process; and training requirements. Requiring practitioner assessment prior to transfer to a hospital, except in emergency situations. Implications for Pharma: The important conclusion for pharma with regard to this dynamic is that therapies that can reduce hospitalizations—as well as those previously used primarily in hospital settings—will find increased use in LTC settings as CMS and other payers promote hospital-level care outside of the hospital. Increased attention has been focused on the behavioral health management of nursing home LTC patients with dementia and the potentially inappropriate use of antipsychotics in this population. Evidence suggests that antipsychotics have limited benefits in this population and the potential to lead to adverse consequences, such as the risk of movement disorders, falls, hip fractures, cerebrovascular accidents and death. A previous Office of the Inspector General study found that when this population received these drugs, approximately half of the drugs were not given for medically accepted indications as required for Medicare coverage or recorded as being administered to the LTC patient. Additionally, one-fifth of the drugs were not given in accordance with federal safeguards to protect nursing home LTC patients from unnecessary antipsychotic drug use (OEI–07–08–00150). The potential overuse of antipsychotic agents is a symptom of a much larger problem: Many nursing facilities may not have a systematic plan to provide comprehensive behavioral healthcare to LTC patients with diagnoses such as dementia and Behavioral and Psychological Symptoms of Dementia (BPSD). 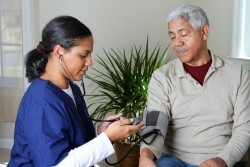 Requiring each nursing home to conduct a comprehensive assessment of its physical characteristics, LTC patient population, competencies and knowledge of its staff, and the identification of any resources or support, including training and additional staff that the facility would need to ensure the appropriate care and treatment for all LTC patients. Revising the current requirements that apply to antipsychotic drugs so they also pertain to any psychotropic drug that affects brain activities associated with mental processes and behavior; this includes antidepressants that are currently classified as psychotropic drugs. 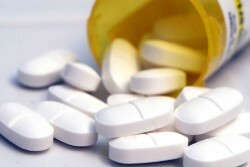 Adding a requirement that once a facility’s consultant pharmacist has identified an irregularity (such as a drug given for an excessive duration of time or prescribed without adequate indications documented in the LTC patient’s medical record) or has recommended a gradual dose reduction for one or more medications, the attending physician would be required to document in the LTC patient’s medical record that he or she has reviewed the identified irregularity and what, if any, action was taken to address it. If there is no direction to change any medications, the attending physician should document his or her rationale in the LTC patient’s medical record. Implications for Pharma: The most important takeaway for pharma with this proposed modification in care is that there will be a decrease in utilization for medications that are newly classified as psychotropics. CMS proposed to add a new requirement to its rules of care for the LTC population: Facilities must ensure that LTC patients receive necessary and appropriate pain management. While pain management is considered to be a medical issue, it can significantly alter an LTC patient’s ability to engage in activities and programs, hinder their ability to perform transfers or ambulate, impair quality of life, and contribute to depression. Pain that impairs function affects 45% to 80% of nursing home LTC patients, with half of those individuals experiencing daily pain. Untreated pain is associated with multiple consequences, including poor oral intake and weight loss, depression, loss of mobility and increased risk of falls, increased risk of pressure ulcers, anxiety, decreased socialization, sleep disturbance, increased emergency room transfers, and increased re-hospitalization rates. In 2011, the Institute of Medicine issued a comprehensive report on pain entitled ‘‘Relieving Pain in America: A Blueprint for Transforming Prevention, Care, Education and Research.” This report identified pain as a national challenge, affecting more Americans than heart disease, diabetes, and cancer combined. The report also identified pain as a factor that significantly increases the cost of healthcare across all settings, including nursing facilities. CMS believes that adequate pain management is critical to the health, safety and quality of life of nursing home LTC patients. Implications for Pharma: Based on these findings regarding current pain management practices in LTC facilities, CMS proposes surveillance of pain management as an important concern in their guidelines of care. Specifically, CMS will require facilities to ensure that LTC patients receive treatment and care for pain management in accordance with professional standards of practice. The implication of this change for pharma will be an increased use of pain medications, especially those products that fit well into a comprehensive pain management program. Antibiotic resistance has emerged as a national healthcare concern, with even the appropriate use of antibiotics contributing to antibiotic resistance. Nursing homes are the next frontier, after hospitals, where new antibiotic-resistant organisms may emerge and flourish. Organisms such as Clostridium difficile and methicillin-resistant Staphylococcus aureus are known concerns. Nursing homes need to have the tools to participate in surveillance, learn and use infection control and containment practices, and adopt a proactive approach to prevent the spread of these infections while being good stewards of antibiotics to preserve effectiveness of the agents. The first three actions are within the control of the nursing home. Thus, CMS proposes to require the Infection Prevention and Control Program (IPCP) to incorporate the prevention and control of infections and communicable diseases, along with an antibiotic stewardship program that would include antibiotic use protocols and a system to monitor antibiotic use. CMS believes these requirements will improve antibiotic use by ensuring that LTC patients who require antibiotics are prescribed the appropriate antibiotics for the medically necessary time period. This should reduce unnecessary antibiotic use and accompanying potential risks to LTC patients. The surveillance and prevention aspects of the LTC facilities’ IPCP are crucial to the health of the LTC patients, as well as for individuals who work or visit the facility. Include infection prevention, identification, surveillance and antibiotic stewardship. Require each facility to periodically review and update its program. Require that an analysis of their LTC patient population and facility be performed. Designate an infection prevention and control officer(s) (IPCO). Integrate the IPCO with the facility’s quality assurance and performance improvement program. Establish written policies and procedures for the IPCP. Provide the IPCO and facility staff with education or training related to the IPCP. Implications for Pharma: The impact of this change for pharma will be a decrease in the inappropriate use of antibiotics and an increase in the appropriate use of antibiotics resulting from provider education that assures solid antibiotic stewardship. This effort will be led by LTC IPCO staff. Overall, these new rules require careful analysis by pharma, as Medicare will continue to lead with all markets following. In addition, while these regulations were drafted specifically for LTC, they will apply well beyond this setting, affecting all payers and markets. As a result, pharma should prepare for a world in which a greater portion of hospital-level care is provided outside hospital walls, in settings such as LTC. Medication use in the areas of pain, antibiotics and psychotropics will move to improved utilization of appropriate medications for appropriate patients, and articulating the value of products in these terms will assure continued success—not only in LTC—but in all markets.